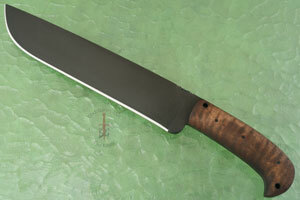 Cutting edge length: 9.50 in. Blade thickness (near bolster): 0.28 in. 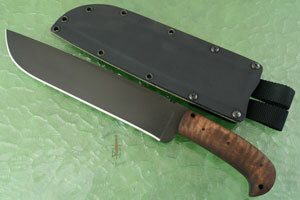 The WKII Camp Knife packs a wallop! It is perfectly weighted for chopping wood and other tasks necessary while out in the wilds. 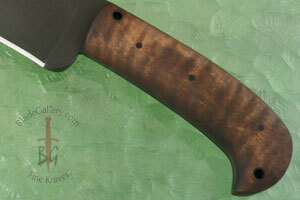 The handle is made from maple set on a full tang for strength and durability. This is a workhorse that will be invaluable on any adventure out in the wild. 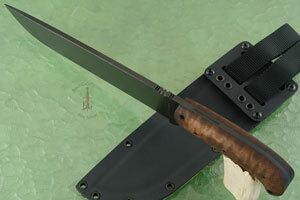 The Kydex sheath has a pocket for the included rubber mounted DMT diamond sharpener. 0.31201171875 0.0458984375 312.01171875 45.8984375 Trailer Started. 0.53125 0.21923828125 531.25 219.23828125 Trailer Completed.